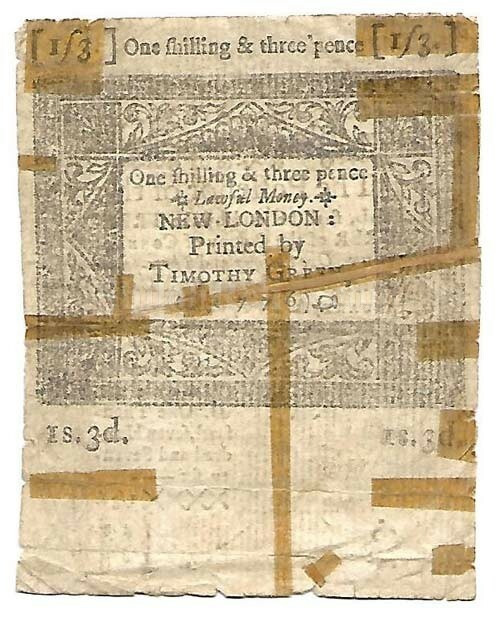 This is an authentic piece of colonial currency from the 1700’s. These early U.S. currency pieces from the colonies that would make up our states are a true piece of history. This one was issued the Connecticut colony. It is clearly dated from January 1st 1782. This one was worth the amount one shilling and three pence. Yes that’s right at that time currency was still figured in English or Spanish values. On the lower left hand side it has the image of the seal of Connecticut. On the back of the note it has the attractive nature design in the center that you can't quite see since the paper has been reinforced with old tape to keep it together. It is priced accordingly. The note measures approximately 3-1/2 inches by 2-3/4ths inches in overall size and is in attractive displaying circulated condition. It comes in an acid free holder for display and preservation. 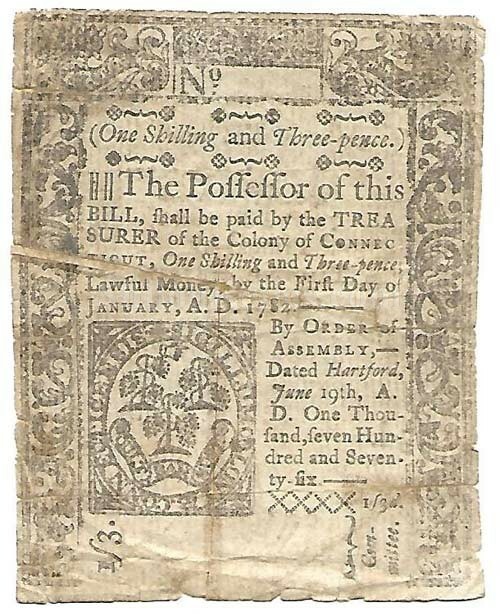 This is a nice authentic early piece of paper money from a colony of the soon to be United States.